HOW TO FIX OR REDUCE THE TRANSITION DIP IN THE 2JZGTE TWIN TURBO SEQUENTIAL OPERATION AFTER HIGH FLOW TURBO'S FITTED. The Dip between the stages of the sequential can be reduced by slowing the second turbo (rear) from coming on. The idea is to delay the second turbo as much as possible which allows for exhaust manifold pressure to increase creating a “reserve” of back pressure before the #2 turbo is activated. 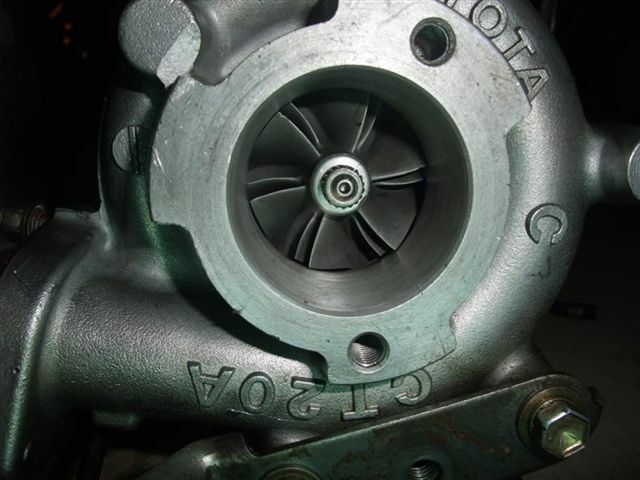 The Dip is caused from the second turbo opening and dumping the needed exhaust pressure to spool up the second turbo so acting as a big wastegate for the first turbo. There are several methods to fix the "dip"…. valve VSV so the #2 turbo has a time to build up pressure so when the changeover point between the two turbo’s occurs the “dip” in boost isn’t so prominent. Another way is to fit an in line pressure ball valve to the air pressure feed line that only allows flow after a set pressure In the line to the IACV Actuator is reached and is not controlled by the factory VSV. This is the same theory as the pressure switch above but a mechanical solution. It is fed boost from the same point or somewhere after the rear compressor but before the IACV the image shows a point that is tapped to the IACV cap. Anywhere along the #2 turbo(rear) outlet bend is fine.